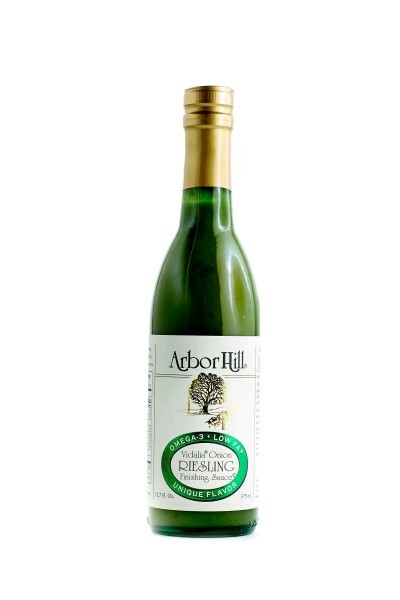 This Vidalia Onion Riesling finishing sauce is great on chicken, pork, steamed vegetables, cold vegetable salad and boiled patatoes. It’s not only great tasting, but is good for your health. Low calorie (20 per serving), low-fat (1 gram), made from all natural ingredients and just one serving (2 Tbls.) provides an "excellent" sorce of Omega-3 fatty acids. See recent press release. "What is a finish sauce and how do you use it?" A finishing sauce adds another layer of flavor without masking the taste of the dish itself. 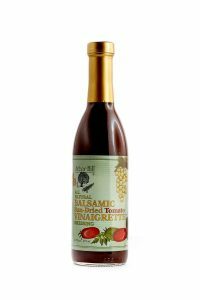 A finishing sauce can be added to the dish in the final stages of cooking, or at the time of serving. 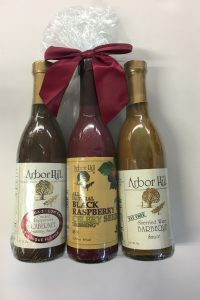 All dishes will benefit greatly from Arbor Hill’s Finishing Sauces. Now make every meal with a gourmet touch. 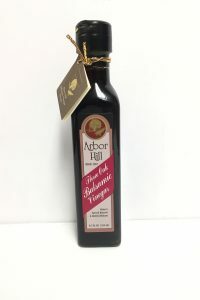 See Arbor Hill’s online Cookbook for recipes. 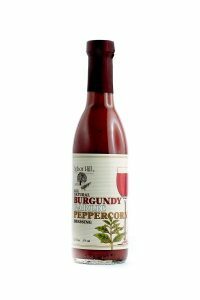 Ingredients: Vinegar, Riesling Wine, Dehydrated Cane Juice, Vidalia Onions (TM) (7%), Flaxmeal, Riesling marinated raisins, Canola Oil, Salt, Rosemary, Spices and Xanthan Gum. Nutritional Values: Low calorie (20 per serving), low-fat (1 gram), made from all natural ingredients and just one serving (2 Tbls.) provides an "excellent" sorce of Omega-3 fatty acids.